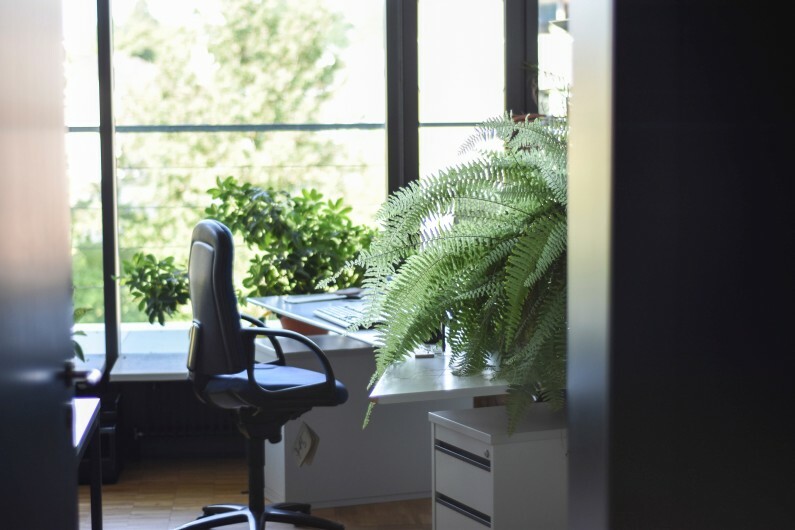 Having plants in the office may seem like a nice idea, but all too often introducing them into a work environment goes awry. In many cases, after a few weeks, you may be left with a few shedding, drooping, browning clumps in the corner. This is a tale as old as time which produces the very opposite of the intended effect. Rather than brightening up the place, dead plants can make your offices look unwelcoming and uncared for. Why should offices have plants? Plants could increase productivity. Some studies have suggested that office plants can actually boost staff productivity. A 10 year study from Exeter University suggests that office plants in a tidy work environment could boost productivity by 15%. The rationale? Workers who engage more with their work environments are better team members. Office plants could reduce stress. The University of Technology, Sydney, recently found that having plants in our environment can actively reduce our stress levels. Offices plants could reduce absenteeism and sick leave. Want to see more of your staff? Including more office plants in your workspace could help. The 2015 Human Spaces Report found that environments with natural elements increased staff wellbeing rating by 15%. The higher your team’s sense of well-being, the healthier and happier they’re likely to be! Sansevieria (Snake plant) – Looks striking and a highly effective air purifier. A decent amount of sunshine and a sip of water every few weeks is all it needs. 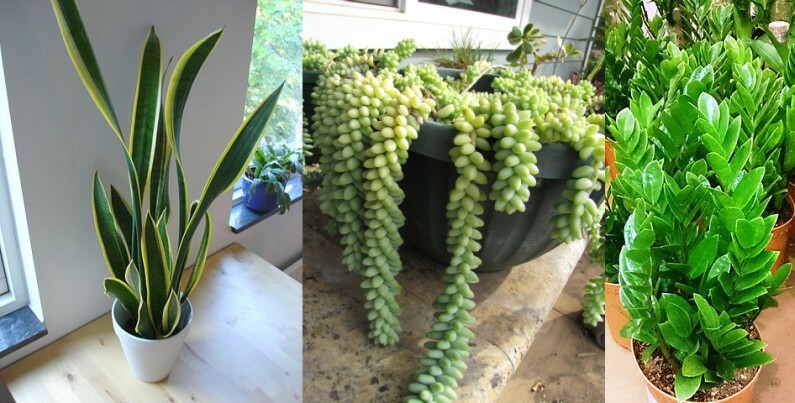 Sedum Morganianum (Donkey Tails) – Unusual and great planted in a hanging basket away from foot traffic (to avoid knocking). Some sunlight and a fortnightly drink will do the trick. ZZ plant – Billed as virtually indestructible, these plants are a good way to bring green into the office, with virtually no effort required. Indirect sunlight and the occasional drop of water are all it takes. Once you’ve found the right spot for your office plants, try not to move them around too much. Our green friends take time to acclimatise to new environments (even if it’s just a little extra sunshine), so keeping them in one spot will help them thrive. To ensure all of your office plants are kept healthy, assign responsibility for one plant to each member of staff. This should garner a little bit of competitiveness – and make your employees engage more with their environment. The Abbey Cleaning Service make offices feel inviting, professional and motivating. We specialise in spotless cleaning in commercial spaces and work environments. We can even dust your plants! Arrange a deep clean or develop a regular rota with our experienced team. Get in touch on 029 2067 9323.